UV device with single LED for Cross-linking treatment. The integrated video-camera and guided-procedure on screen make the device unique on the market. New telemetric optics for obtaining a better radiation uniformity and a very comfortable use. 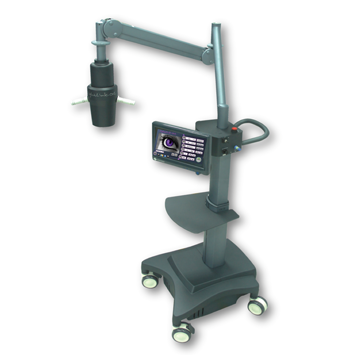 The LIGHTLink-CXL corneal cross-linking system is the newest and most feature-packed device in its market segment. Supplying a plug and treat turnkey solution, the LIGHTLink-CXL is the only cross link in the market that is designed with the laser-like mechanisms & functionality, resulting in enhanced safety, clinical effectiveness, and convenience. LIGHTLink-CXL features built-in treatment protocols, allowing for the procedures to be guided through a semi-automated process. As a result, treatment time is enhanced and safety margins & procedure efficacy are increased. 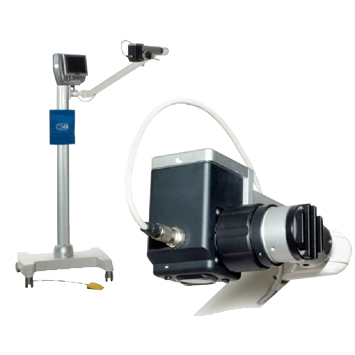 Treatment parameters are also fully customizable for procedure time, power, spot size and mode of irradiation delivery, setting the LightMed system apart from its contemporary competitors as ideal device for practical day-to-day use or research purposes.